Members of the Barrow Over 60s club have been fundraising for the Every Heart Matters appeal. 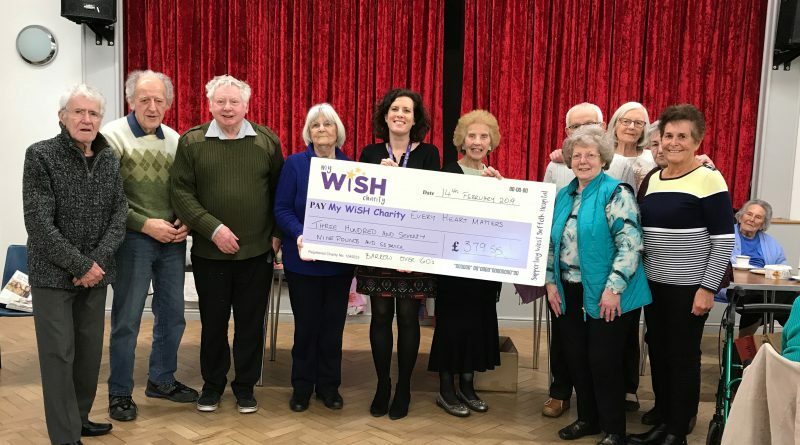 From a series of initiatives including the selling of Christmas and birthday cards to bingo sessions and an auction they have raised a total of £379.55 for the My WiSH Charity which has been organising the appeal. It was set up last year with the aim of raising £500,000 for a new heart diagnostic unit at the West Suffolk Hospital, in Bury St Edmunds, reaching its total in December. And members of the club handed over a cheque from the funds that they raised to the charity’s appeal manager Sally Daniels. The Over 60s committee member Marilyn Stark said they also had a series of collection dishes which also boosted the amount. My WiSH appeal manger Sally Daniels said: “We have attended a couple of the Barrow Over 60s afternoons and they are always great fun. It’s wonderful to see members of the community spending time together and caring for one another as well as supporting their local hospital”. Pictured above are members of the Barrow Over 60s club handing over the cheque to Sally Daniels, (centre) the My WiSH Charity appeal manager.